--APP support language: Russian, Turkish, Greek, German, Italian language, Japanese, French, simplified Chinese, traditional Chinese, English, Dutch, Portuguese, Spanish, and Korean. 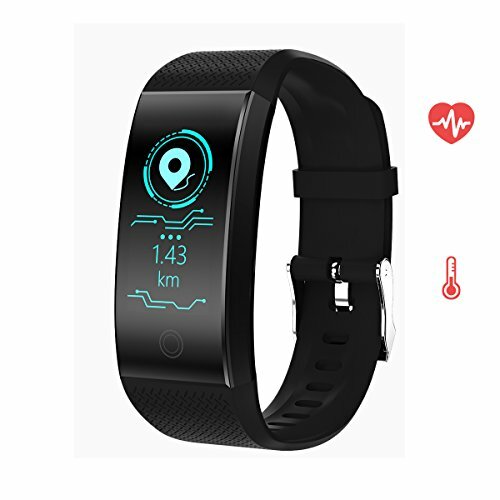 ✔ Continuous Heart Rate Monitor and Comprehensive Sleep Analysis: 24 real-time continuous heart rate monitor to help you know your health. Accurately and effectively sleep quality analysis can give you good suggestions to adjust yourself. ✔ Don't Miss Any Important Call and Message: Once connected with app, you will get instant messages and call notification in the app. ✔ Long-lasting Battery and Life Waterproof: IP67 waterproof allows your washing hands, getting caught in the rain. Full charge requires only about 1-2 hours and the standby time can be up to 5-7 days with full power. ✔ Widely Compatibility & Warranty: The app is compatible with Bluetooth 4.0, Android 4.4 above or iOS 7.1 above only for smart phones. We offer 30-day money-back guarantee, 18- month replacement warranty and life-time technical support. If you have any questions about this product by Rorsche, contact us by completing and submitting the form below. If you are looking for a specif part number, please include it with your message.